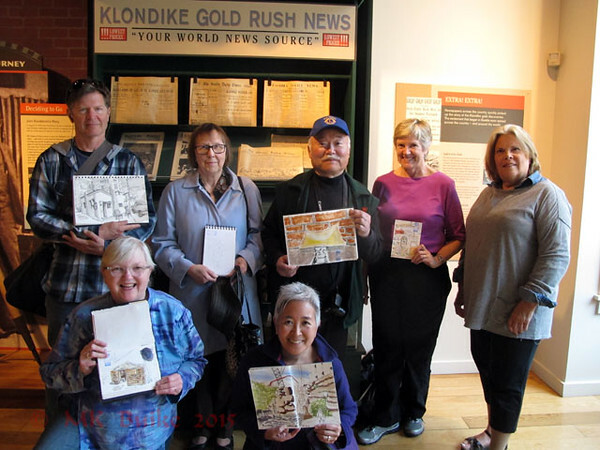 Friday sketchers from Seattle Urban Sketchers sketched in and around the Klondike Gold Rush National Park in Pioneer Square, Seattle. 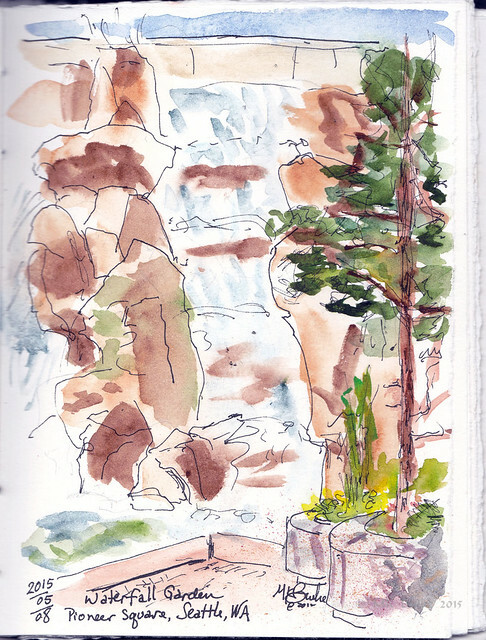 It was such a summery day, that about half the sketchers elected to sketch outside rather than in the Museum/Park. 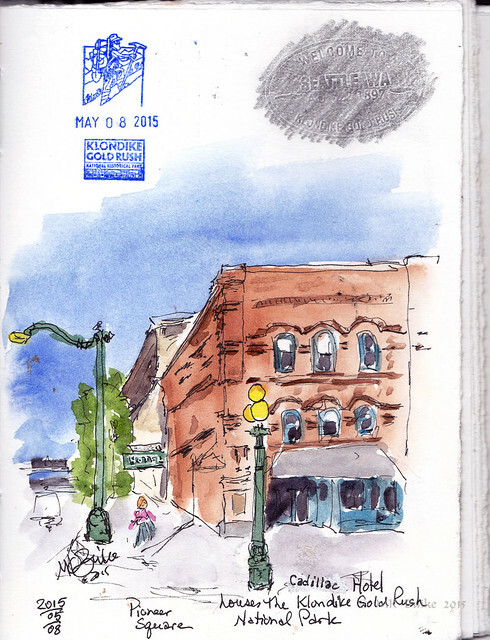 I was early, so sketched the Park building from across the street. I later added the National Park's stamp. At various spots inside the Museum there were "embossing stations". Each one was different. Since I had never been to this tiny National Park, I thought I would look around. 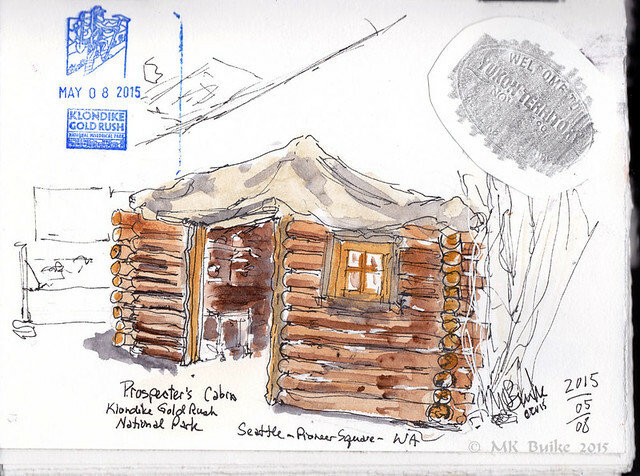 I liked the full sized prospector's cabin. There was still a little time left. 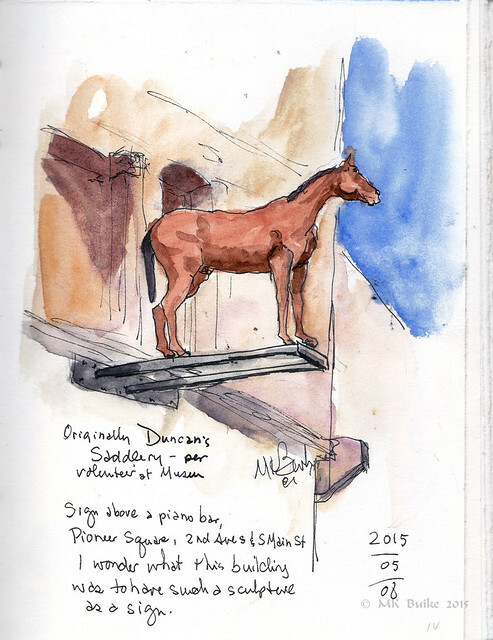 This odd, full sized horse sculpture was placed from the second story of the building. The place is a piano bar now. But I thought this might be a sign for a past business. The volunteer in the Park knew about it. It had been a saddlery. The original cast (bronze?) statue is gone and this is a fiberglass replacement. 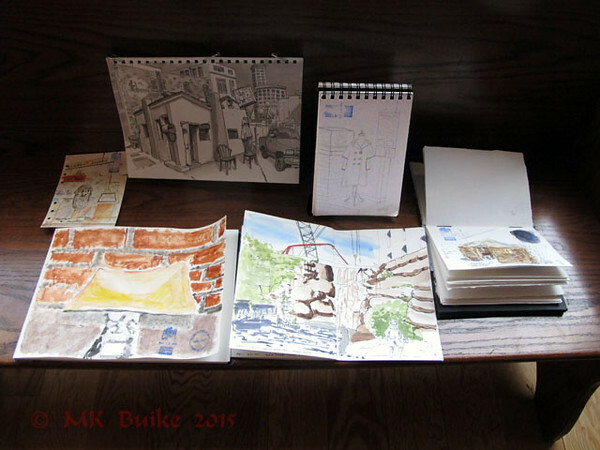 We set out sketches on a bench in the Park/Museum. After lunch, I went to another place I've never been: Waterfall Garden park. It was only a block away. The sound of the waterfall drowns out the sounds of the city, creating a pleasant, natural oasis.